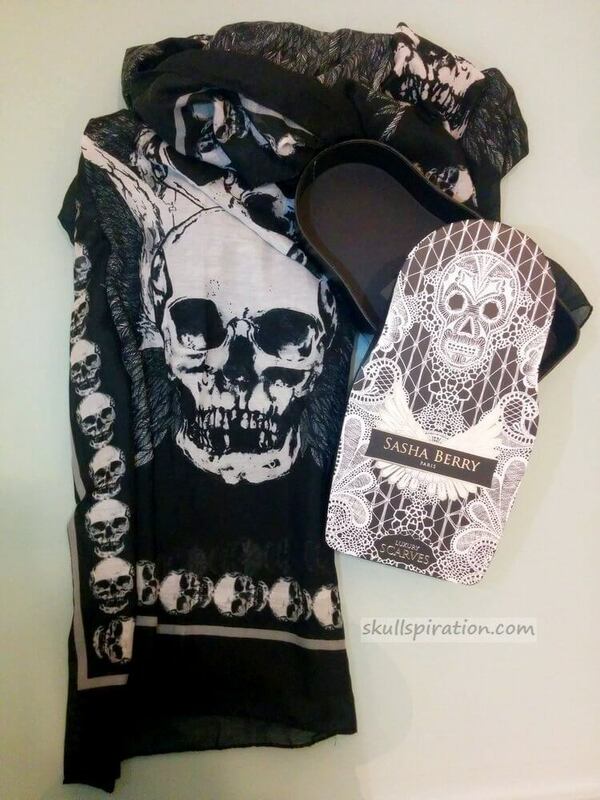 You know that Sasha Berry is one of my favorite brands designing unique skull scarves. 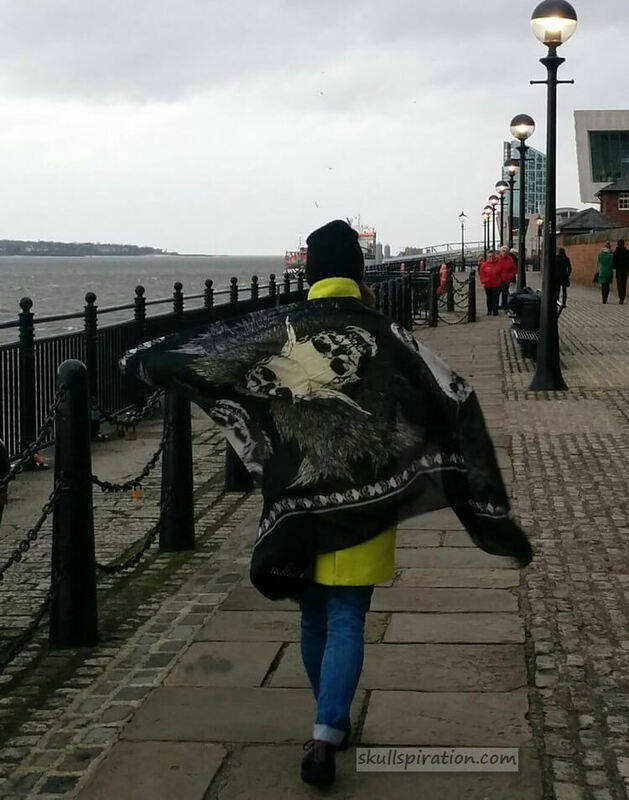 Here I am again with some pictures of my new Sasha Berry London scarf. 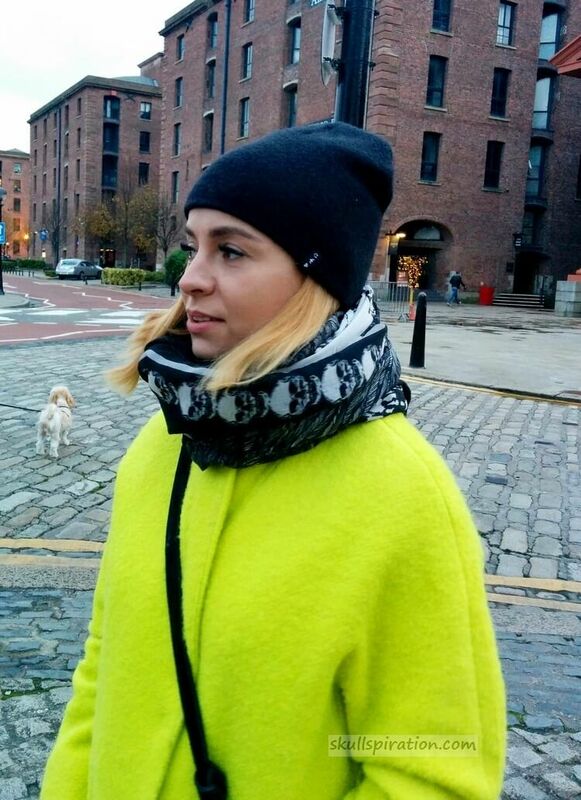 I usually wear my skull scarves with a leather jacket but this time I am wearing something totally different – a lime coat. 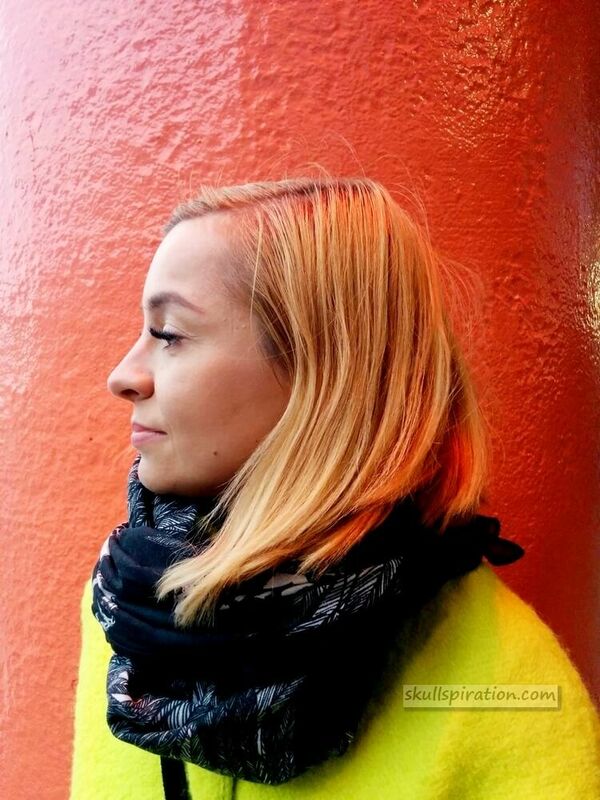 You can prefer wearing the scarf either every day to work or on special occasions. 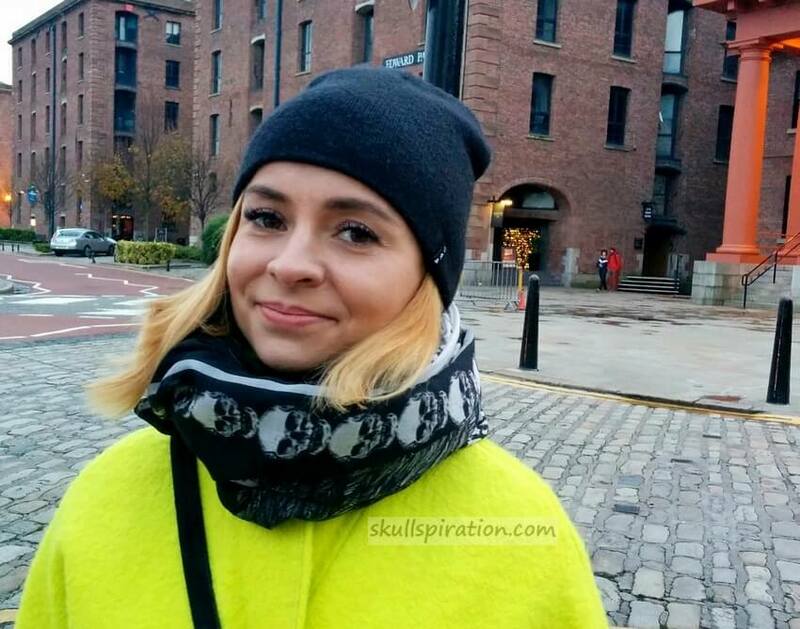 This is a great way to add skulls without overpowering an outfit. 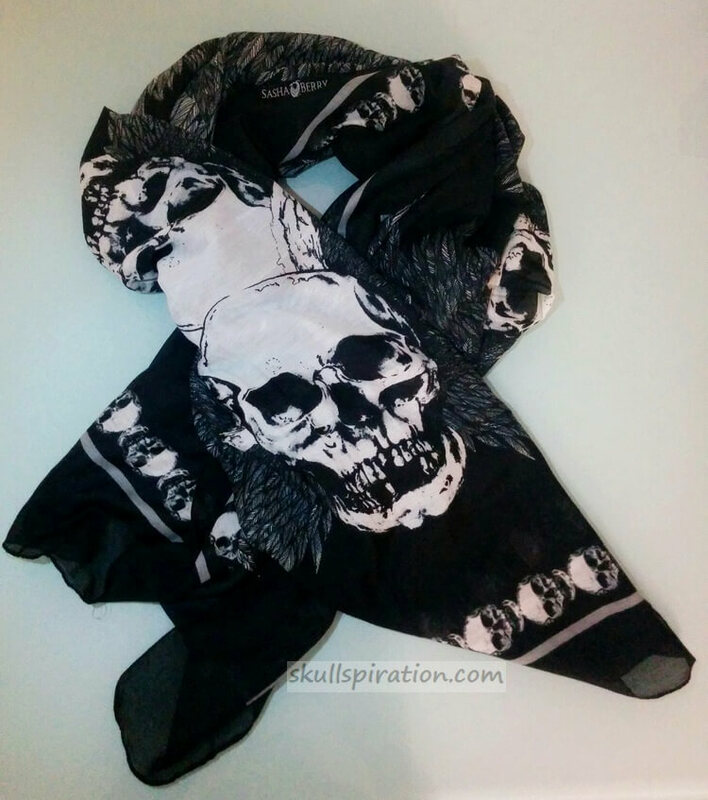 A skull scarf is a must have for this season, great addition to your fall and winter wardrobe. And a perfect Christmas gift for your sister or best friend! Sasha Berry is a French scarves brand created by Angelina Ober. She offers everyone to wear an artwork everyday. 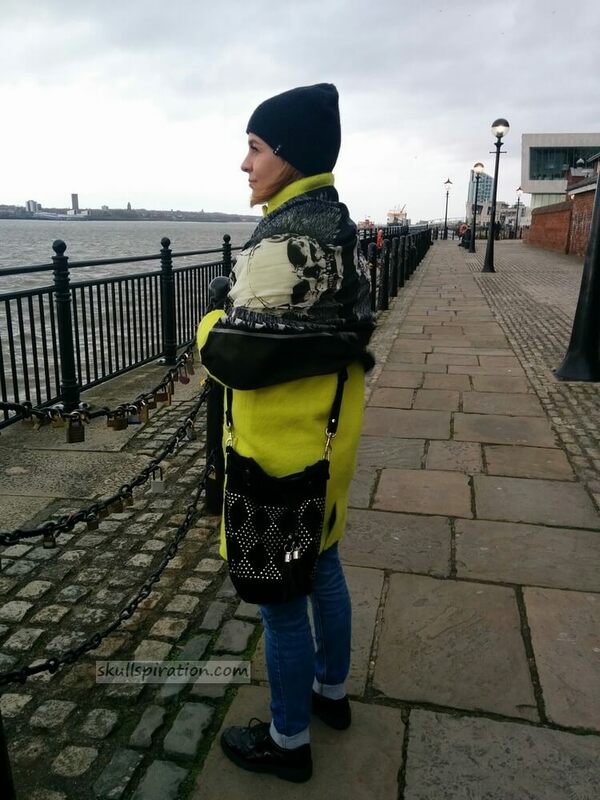 Her scarves are manufactured and printed in India.